The federal government says it will build and operate the proposed airport at Badgerys Creek after Sydney Airport decided not to take up its right of first refusal to develop the facility. Sydney Airport said in a statement to the Australian Securities Exchange on Tuesday it had not accepted the Notice of Intention (NOI), or sales contract, to build and operate the proposed Western Sydney Airport (WSA), stating the investment did not meet the company’s investment criteria. “Sydney Airport’s decision not to accept the WSA NOI on the terms provided is in the best interests of our investors who represent millions of Australians through their superannuation funds,” Sydney Airport chief executive Kerrie Mather said. The decision was not unexpected, given the company had said previously Badgerys Creek would be a challenging investment proposition, given the NOI said Sydney Airport would be responsible for all of the costs of building and operating the airport. In the NOI, the federal government offered no direct financial support towards building and operating the proposed airport. The cost of construction was estimated to be between $5 billion and $6 billion. Prime Minister Malcolm Turnbull said Badgerys Creek was a vitally important project for the country. “The Turnbull Government today confirmed that it will build Western Sydney Airport,” the Prime Minister said in a statement. Since the NOI was issued in December 2016, Sydney Airport has sought feedback with the market to determine construction costs of site preparatory works and the aviation infrastructure works, as well as assessed funding options. The company booked $21 million in expenses, including $16 million in external costs towards the proposed airport, according to its calendar 2016 accounts. 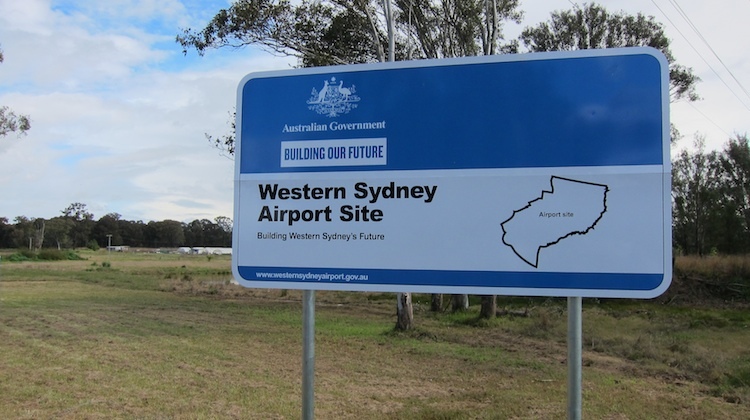 When the Commonwealth sold Sydney Airport in 2002 it included a 30-year first right of refusal to build and operate any airport within 100km of the existing terminals at Mascot. Minister for Urban Infrastructure Paul Fletcher thanked Sydney Airport for its engagement in the process. “The consultation meetings with Sydney Airport were conducted in an atmosphere of good faith and I acknowledge their professional and constructive contribution during this process, as well as their strong and positive engagement with western Sydney,” Fletcher said in the Sydney Airport statement. Fletcher has said previously the federal government was ready to build and operate the airport itself or offer the opportunity to private sector companies. Badgerys Creek was expected to be operational by the mid-2020s. Sydney Airport noted in its statement the right of first refusal allowed the company three months to review the terms on which the government or the private sector would build and run Badgerys Creek. However, the company said it had been advised by the federal government that the terms would “mirror the NOI received in December 2016, meaning no new option will arise”. The final Western Sydney Airport Plan shows Stage 1 of the airport would feature a terminal capable of handling up to 10 million domestic and international passengers a year, with a single 3,700m long by 60m wide runway on a 05/23 orientation. Meanwhile, jet fuel supply was expected to be delivered by road tanker in a similar way to other airports operating on this scale, such as Canberra and Gold Coast. The Australian Competition and Consumer Commission (ACCC) said in March an independent or government-owned airport at Badgerys Creek would be a win for airlines and the passengers they carry. In its annual Airport Monitoring Report for 2015/16, the ACCC said the government’s move to offer no direct financial support towards building and operating the airport was “encouraging”. “This has raised the possibility of increased competition with Sydney Airport to the long-term benefit of consumers and the economy,” the ACCC report said. “A second international airport competing with Sydney Airport could yield significant benefits to both consumers and airlines. An independent operator of Western Sydney Airport would have a strong incentive to invest, set competitive prices and offer improved service levels to effectively compete with Sydney Airport. Well if the PM wants to be known as the man of infrastructure, this is his chance to leave a long lasting legacy. A 10+ year construction timetable with the ability to expand means you could create easily 5000 or more jobs for the Sydney area with the flick of a pen. As much as people are going to gripe and complain about aircraft noise, can you really argue with new jobs being created? Bill – with what money? If the Federal Govt is reduced to targeting Uni students/HECS as part of its budget cuts process, where on earth will it find the billions required for Badgery’s??? They know that Badgerys Creek is a bad investment and totally unnecessary. To Jasonp and to many others who question the government funding. The Government can afford it due to being constructed over a number of years. There would be a small portion of funds distributed each year for each type of project. One the runway is built and a functioning terminal is open then the fees charged to the airlines would not only pay for the day to day operation of the airport but also assist in paying for the expansion of the airport. So with contract fee agreements with airlines, the airport and government would be able to expand at minimal cost to the taxpayer. It’s a bloody good investment for the country and with the creation and sustainment of over 5,000 jobs plus the major economic benefit to the area as well because those who are working on or at the airport are going to buy/build home, do the grocery shopping, go out to the shopping centers etc etc etc so the follow on job creation and sustainment will benefit everyone. The airport would be collecting a minimum $50,000 plus in landing and take off fees per day, then there are security fees, passenger charges etc etc.. So yes it can be afforded and with remarks to forcing people to pay off Uni HECS debt at a more reasonable threshold is a smart thing as it save $2.8 billion (heard in the media) meaning that $2.8 Billion could be spent on this airport. It will never be built under a Turnbull govt…..or a Shorten govt. The Wagner’s built Wellcamp from scratch to similar stage 1 capability for $2xx Million in under 2 years start to finish!!! Where did the rubbish $5-6 Billion and 10 years come from ?? What a crock!! Don’t have to reclaim runway from swamp/tidal wash – eg. Brisbane 2nd runway!!. Mega-numbers of Environmental Studies already completed over MANY years – no excuses for delays!! Get an experienced airport builder like the Wagner’s in and GET ON WITH IT!! The politicians only care about what they can spend and get a return on in the current and maybe the next election cycle, not in the longer term returns. If the government wants to return to building airports. Build an Australian gateway to serve all of Australia instead of a sprawling metropolis. Build it in the Broome/Port Headland area complete with a new affordable city of 250 000 using Northern Australian Development funding and the West Australian Government could contribute. An airport hub to serve south Asia. Craigy you are spot on, my thoughts also. Private enterprise will get this done and power up the economy. I still wonder why they need to build a new one at all? What’s bankstown used for? The Wagners could have it open by Christmas 2019 at a cost of $200-300 million, not $5-6 billion.. Wellcamp should be the model for all new airports. @Lechuga Bankstown isn’t suitable for 737/A320 types but in any case a second airport is completely unnecessary. If the politically-motivated curfew and hourly movement cap were removed, Sydney wouldn’t need a second airport for another 100 years. Mike is correct, remove the operational limit and curfew and invest in a fast train between Sydney- Canberra and Melbourne. Creates jobs and frees up Western Sydney for urban development. Unless the Wagner’s are the builders, we the taxpayers will be paying for more and more delays and cost overruns! They have demonstrated that they can build and operate a world class facility. Gieve the project to them now and it could be ready in2 or 3 yyears! Fair enough to land bank and future proof a second airport ( Badgerys Creek ). But why start building when Kingsford Smith is not even close to full capacity , ie crazy curfews introduced from the noisy Boeing 707 days . How long ago did those things fly ? Poor old taxpayer gets hit again. Hope it has multiple rail links. What a complete waste of taxpayers funds. Spend less than $1b doing more noise insulation to homes around Sydney Airport and allow it to operate 24/7. Problem solved. Allowing the existing asset to operate more efficiently by removing the flight cap per hour and allowing 24hr operations will serve this city well for many more years to come. Situations is cleared up. WSA is next to raising in size and capacity to second place in air trafic in Australia. Next three to four decades vill be proof to success. Development of Badgery Creek Airport, definitely best invesment in last 20 years in Australian aviation infrastrukture. WESTERN SYDNEY AIRPORT in 2018. Rodney’s Team of Aviation Entusiast & Co.
Oh dear, the domesday arm chair experts are at it again, “we do not need another airport…etc etc etc”. Are they the same ones that said Qantas would never make a profit with Alan Joyce running it?, probably!!! Get over it a second airport, as the ACCC has pointed out, will create competition and bring prices down, parked at Sydney Airport lately??? It will also provide jobs in an area that needs them. One day I might see everyone say something positive in these comments, nah too many arm chair experts…..
@Trevor Dye – funny that, wasn’t the last government funded “greenfields” airport development in Melbourne, back in the 1960s or 70s? Might be someone else’s turn for some funds eh? And you might have missed Qantas basing their LCC and their brand new 787s in Melbourne; most other cities would give their eye teeth to have either of them. I suspect there is a lot more to this announcement than meets the eye. Private enterprise will build and run this airport, watch this space. I wonder how the Wagner built airport is travelling? However that aside, there would be more value in removing the current movement cap and expanding the shoulder operations to Stage 4 compliant aircraft to ease the current congestion at YSSY. Badgerys will happen but at least initially will end up being a hub for the LCC arms of the two groups. Maybe international LCC’s when Border Force and Agriculture facilities are added. The full service carriers will remain firmly at KSA to capitalise on the connecting traffic from elsewhere. Wagners should be involved, they’ve done it before. Most likely can build it quicker and cheaper – this is taxpayer money we are talking about here, but as usual politicians have no respect for it and abuse it.